5760 Estero Blvd Fort Myers Beach, FL. | MLS# 218072048 | Southwest Florida Residential Real Estate for Sale. End of season, 6 week price reduction to facilitate a 1031. The closing date June 2019 with a Seller option to extend to August 31st. Rentals to be honored. 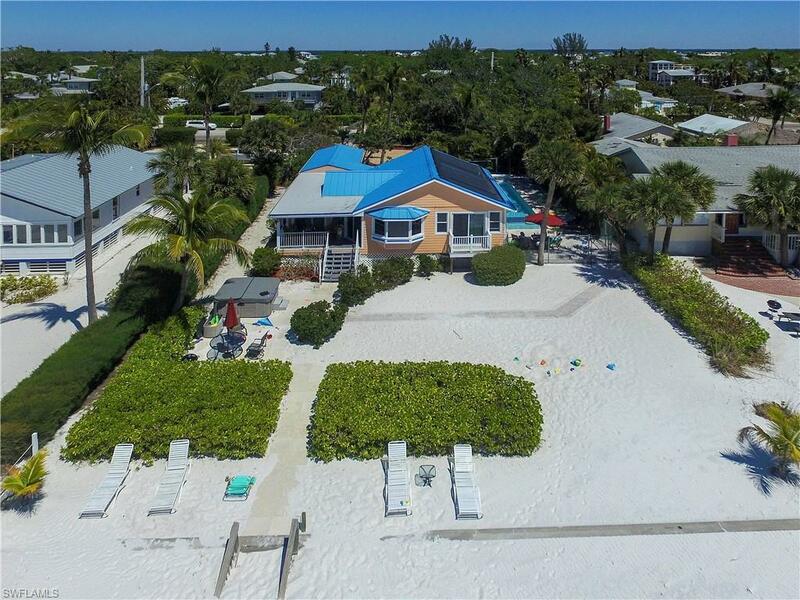 Sunset Paradise is a magnificent 4 bedroom 4 bath beach front home located directly on the Gulf of Mexico , mid-island in quiet Fort Myers Beach. Beautifully landscaped and decorated, Sunset Paradise provides a retreat with all the luxury and comforts. Stunning sunset ocean views. Catch your dinner of trophy snook, redfish, and trout right out your door. Or, just relax in your beach front hot tub enjoying the ocean breeze, Walk the miles of beach. The beach house is decorated with tropical furnishings, tile floors, a modern kitchen, and all the conveniences and is offered fully furnished. The 46’ private swimming pool is designed for all ages with both 6 inch and 2 foot deep wading areas as well as a six foot deep end. Sunset Paradise is one of the nicest homes on Fort Myers Beach; a truly spectacular property. Recently remodeled with impact windows, hard board exterior and updated kitchen and bathrooms the property offers amazing rental income rented weekly throughout the year.